hd00:20Golden Gate Bridge windy hilltop time lapse view with zoom out in San Francisco, California. 4k00:39LISBOA, PORTUGAL - JANUAR 12: View on the 25th of April suspension bridge as traffic pass by during sunset in Lisboa on January 12, 2018 in Lisboa, Portugal. 4k00:08Suspension Bridge In Lisbon Shot From Boat In Tejo River. 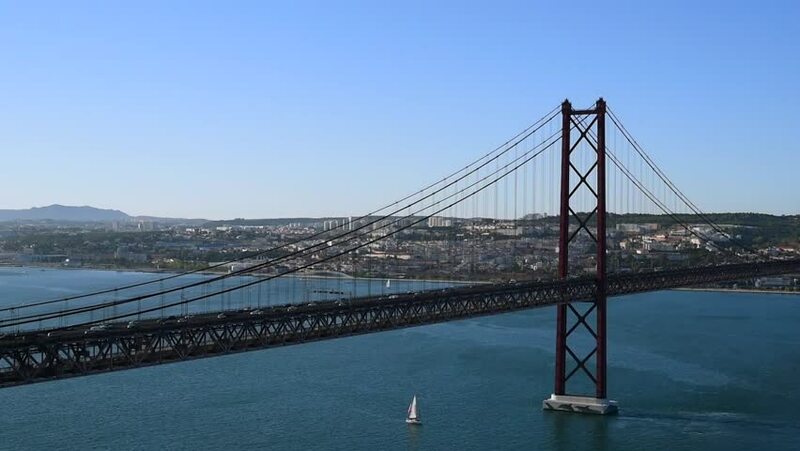 The 25 de Abril Bridge is a suspension bridge connecting the city of Lisbon to the municipality of Almada.